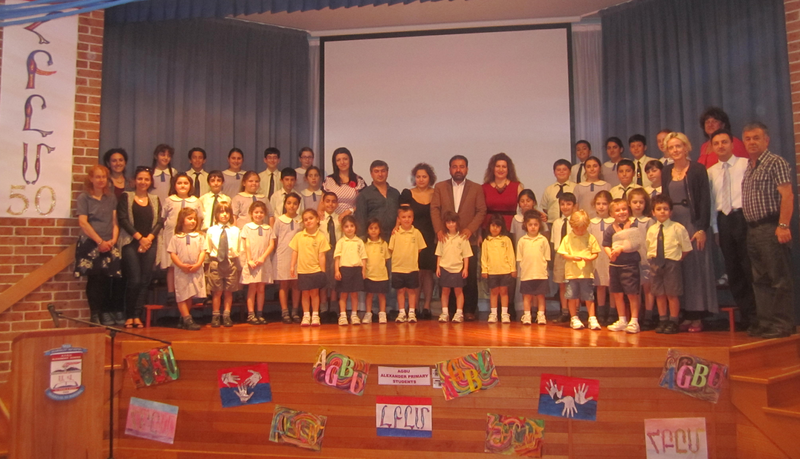 This was the warm welcome given on Wednesday (27/11/13) to a special group of visitors from Armenia headed by Greta Mnatsakanyan, Head of Division of Culture, Sport and Youth Programs from RA Ministry of Diaspora. 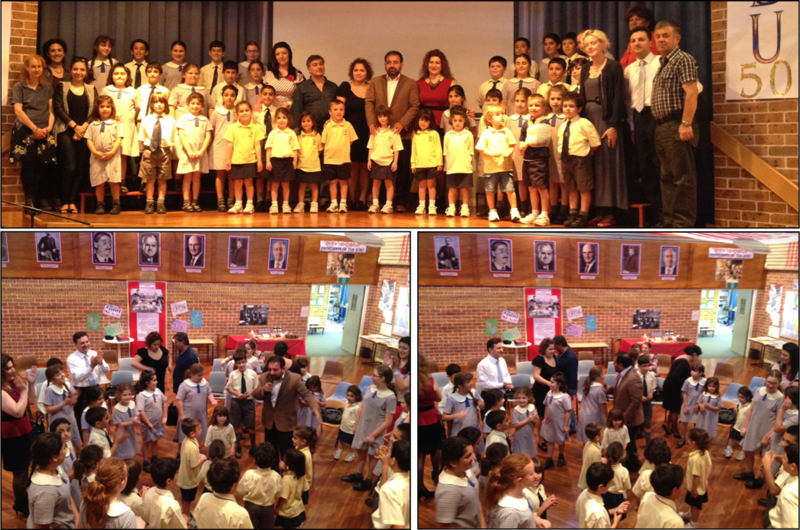 The internationally renowned Armenian singers and musicians - Sona Shahgeldyan, Leyla Saribekyan, Tatevik Ayrumyan, Garik Saribekyan & Arsen Grigoryan were joined by the Australian Representative of the Diaspora Minister Mr Edvart Tarpinian and other committee members. The guests were greeted and welcomed by our Captain after being led into the hall. 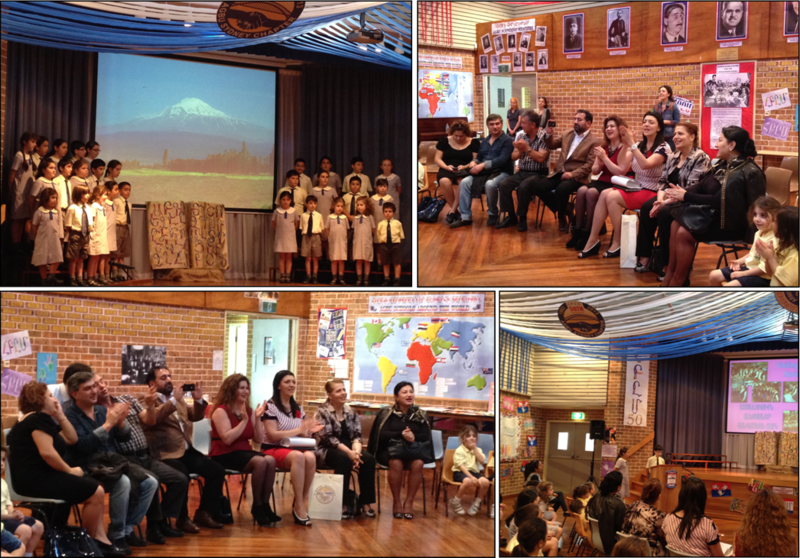 A special program was presented with songs, recitals and a brief outline of life at the school. The presentation encompassed different aspects of school life and was complemented with a showcase of slides on the big screen.